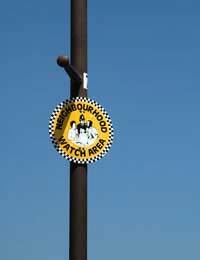 Neighbourhood Watch is a nationwide crime prevention initiative run in conjunction with the police and the Home Office. The police believe that a vigilant community is a vital element in the fight against crime. Under the auspices of Neighbourhood Watch, individuals around the country work together, alongside the police and local authorities, to prevent crime and make communities feel safer. If people are interested in getting involved with Neighbourhood Watch, either the local crime prevention officer or the local Neighbourhood Watch Association should be able to provide information about schemes already operating in the area. Although Neighbourhood Watch has the full support of the police, individual schemes depend on their members to run and promote them. All local schemes need a co-ordinator who will liaise with the police and pass on information and tips to the scheme's members. Schemes are likely to vary in size depending on the area they cover. Anyone who is interested in setting up a scheme is recommended to contact the crime prevention officer at their local police station. This officer will be able to provide information and guidelines on setting up a scheme. Crime prevention officers may have their own idea of how to run a scheme and there is likely to be some difference from one scheme to another. To some extent this will probably be determined by the characteristics of the neighbourhood in terms of geography, demographic and prevalence of crime. Inviting people who are new to the area to join the scheme. It is suggested that each co-ordinator looks after between 10 and 15 houses - although the flexibility of the scheme means that there are no fixed rules and individual schemes can be tailored to suit local needs. If a scheme covers a large number of households within the area it may be necessary to have more than one co-ordinator. There are local Neighbourhood Watch Associations throughout the country and scheme co-ordinators are likely to communicate with these as well as maintaining correspondence with the local authority, the police and other local co-ordinators. A particular scheme, especially one covering a large area, may also have a committee who can get together to plan how the scheme can best target crime in the area. It is up to the members of each scheme to decide what their area needs, what can be done about it and to make sure it gets done. Although Neighbourhood Watch schemes have the full support of the police, the idea is that they are complementary to the police not controlled by them. Co-ordinators are encouraged to create a scheme that suits the local community so that people are more likely to want to get involved. What works in an affluent suburban area may not go down well in an inner city estate. Newsletters, pamphlets and even the name of the local scheme can all have a big impact on its success. If an area has suffered a spate of a particular crime, a scheme targeting that crime may get a warm reception from the local community. Some residents may be concerned that Neighbourhood Watch is just a licence for people to be nosy and a clearly stated purpose may help to allay these fears. Ensuring the success of a scheme may well take considerable effort on the part of the co-ordinator and committee. Holding regular meetings and being prepared to talk to members of the local community about the scheme and its aims will help a scheme thrive. The ethos of Neighbourhood Watch is not just to prevent crime but to bring a real sense of community to an area. Members are encouraged to help the elderly or others who may feel isolated and fearful within their homes. Members are not expected to patrol the streets of their neighbourhood, but just to become more aware and watchful of their surroundings. @crispy. That's great, we hope the information in the article helps you?